When professional soccer players collaborate with big brands like Nike and Adidas to create their own signature boots, a lot more goes into the design than just choosing a pleasant color and pattern. Players try to make their cleats personal to their lives, as well as their careers. Messi's playing style was represented by unexpected brush strokes, similar to his quick and fluid changes of direction on the pitch. Ronaldo and Nike recently introduced the sparkling Superfly “Silverware” boot inspired by the silver trophies awarded to champions at season's end. While anyone can buy the CR7 Silverware Superfly, Ronaldo's personal boots have specific fit and design requirements. His Superfly is handcrafted in an exclusive boot factory in Montebelluna, Italy to ensure that the fit is as close to the natural shape of his foot as possible. It is also customized with a lower-cut collar and finished with a ‘Made in Italy’ red insole. 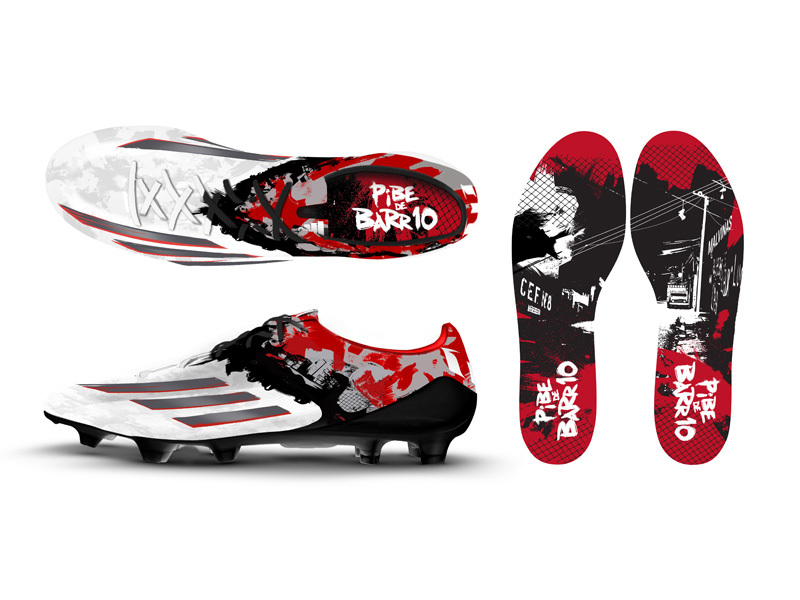 In the Shop: Messi's Pibe de Barr10 boot is available in the shop in both adult & youth sizes. The CR7 Mercurial Vapor and Victory are available in adult & youth sizes. The shop does not carry the Mercurial Superfly pictured above. Images courtesy of Adidas and SoccerBible. 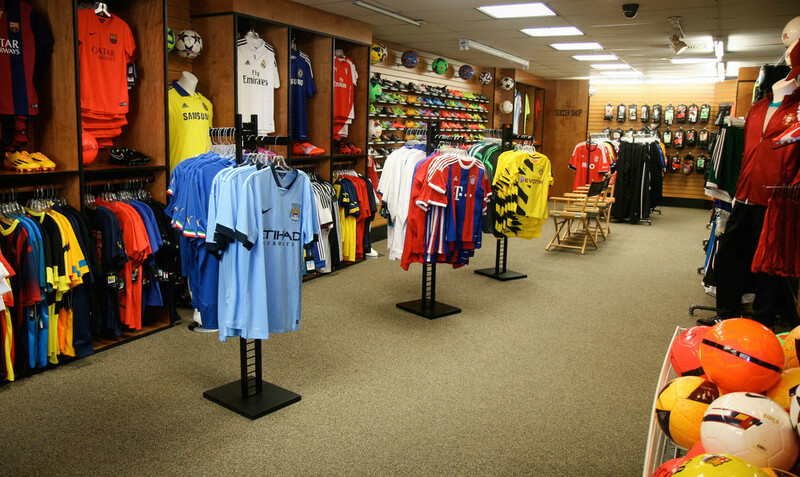 After twenty years of business, the Soccer Shop went through a major remodeling over the summer. 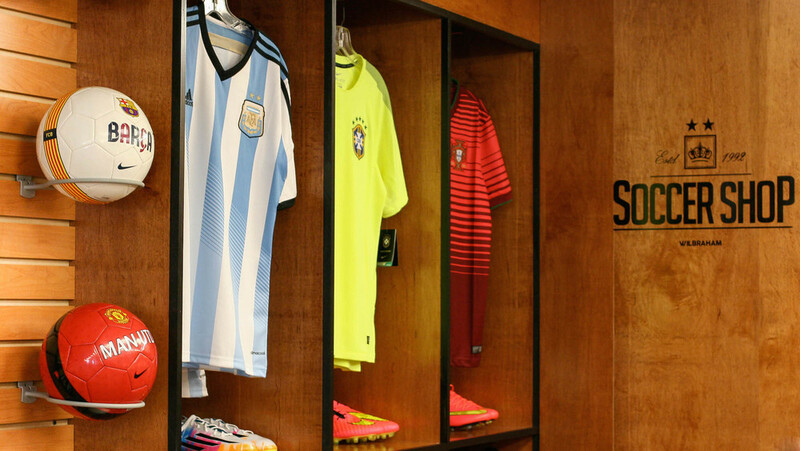 The new theme of the store mimics the same locker room setup that major pro league teams utilize for their players. The wood used in building these lockers is featured throughout the shop to create a more relaxed vibe for customers or any players coming in after games played in the facility. With such limited existing floor space, the locker room setup has allowed us to maximize the space we use to display and feature our best products. With this new makeover, we felt it was time to give The Soccer Shop brand a facelift as well, so we designed a new logo. The crown used in the logo is meant to represent the heritage behind the Soccer Shop, as it has been the only soccer specialty store of its kind in the Western Mass area for the last twenty years. "Established 1992" was also added to further emphasize this longevity, and the two stars are a nod to the stars that teams display above their crests when they win championships. For us, one star represents a decade of business. Currently, the "Locker Room" is about 80% finished. We're still working on bringing in some artwork and vintage soccer memorabilia for the walls, and extending the theme and store front into our hallway to really bring it all together. We also have big plans for some collaborations between the Soccer Shop brand and our in-house Print Shop, so be on the lookout for some custom designs in the future. Come give us a visit and check out the new shop!